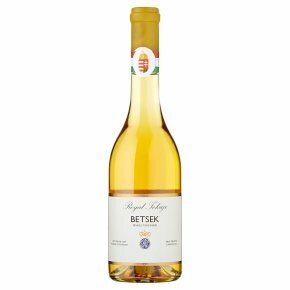 Wine of Tokaji, Hungary. Tokaji Aszú 6 Puttonyos - White Hungarian Wine Furmint, Harslevelu and Muscat de Lunel varieties are planted at a density of around 6,000 vines/ha and were hand harvested in late October. The 2007 season began mild and dry in Tokaji, continuing warm and sunny until the end of June when the heavens opened. Most of the summer was hot and dry however and lack of rain in August in particular was a problem. But a classic humid Tokaji autumn was to follow, alternating wet and dry days with a fair drying wind, perfect conditions for botrytis. We harvested reasonable quantities of high quality Aszu berries, overall a superb vintage. The wine was aged for over 2.5 years in old Hungarian (Zemplen Mountain) oak and was bottled on 7 July 2010, then aged for a further 27 months before release. Just 2,390 50cl bottles were produced.